Gah no! You must keep reading. Or not. I'm afraid that constant pressure from the Pro-Potter camp is going to turn you off from the book, but really... keep going. And seriously... I think it's a bit unrealistic to expect child/teenaged characters to show any kind of impulse control or emotional maturity. Some one must have mislead you. Don Quixote is not about a Spanish aristocrate who finds out he is a wizard. Don Quixote and the Fellowiship of the Mentally Insane. Don Quixote Return of Sanity. The third is quite dark if I remember right. Don Quixote! It’s the warm and enchanting tale of a minor Spanish aristocrat who discovers that he is actually a powerful wizard, and is whisked away to a school of magic to develop his talents! Or something like that. HA HA HA - thanks for the laugh. Don Quixote may not be a trilogy, but it is a duology or whatever you call a book in a set of two. The introduction to the second book is the best part. Don't read any fool abridged version. I cannot believe you don't like Harry Potter more. I am having a really hard time accepting this. I am trying very, very hard not to yell at you until you get into book 3, which is when they start getting really good. I also think you aren't being entirely fair to the series. I realize you consider the Earthsea books a 'more dignified' trilogy for adolescents, but I just don't get it. At all. Just like I don't think Lord of the Rings is for most kids. The Hobbit, sure. But the rest are just a little too mature for the kids I know. I think J.K. does a fantastic job portraying children in a pretty realistic manner. Maybe it's because I grew up in an inner-city urban area, but most of the kids I knew didn't have much self control or faith in adults. I refuse to believe that a fantasy junkie doesn't like HP. And PS - I still think that Guy Gavriel Kay should have been included in your fantasy list of must reads. What's up with that? How dar u say harry potter is lame u r probly the kind 2 h8 whateva is popular just bcuz it is popular. i bet u only like books that no one has heard of by some like philosopher lol. just becuz its popular dose not make it bad lol. 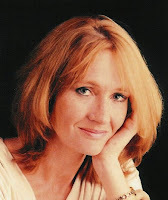 harry potter 4eva and u r probly just jealous rowling is the greatest writer who eva lived shes like shaekspere. & bsides u spelled her name rowland in the last part wich shows what u know about harry potter wich is NOTHING lol. @Reb: I think I'll be fairer to subsequent books if I come at 'em fresh. @Yank: I've been screwed. My stupid translation only includes the first two books! @Nichim: "Abridged version"?!? Nichim! You wound me! Mrs.5000 didn't expect me to start liking it until Book 2, but I've been digging it right out of the gates. @Kadonk: You cannot believe I don't like Harry Potter more? Believe it, baby! But that's not to say I don't like it at all. I've called it "engaging," praised the plotting, and GUSHED about aspects of the writing style. But I see flaws in there too, and I calls 'em as I sees 'em. I'd be surprised to hear an argument that the Earthsea books aren't more dignified than HP. It's an open question, though, whether that makes them "better." It's been too long since I read them to really weigh in with my opinion on that just now. As for Tolkein, there are lots of junior high kids who are MAD for him, and plenty who aren't. As for the Hobbit, I've already weighed in on that -- I consider it an important but very flawed book, with a beginning that's not much good for adults and an ending that's not much good for kids. I suppose it would be best to start it at age 10 and read about seven pages a month. Are the kids in HP realistic? Well, I conceded that their distrust of adults is at least not completely unrealistic. Their daring-do is, I think, pretty over-the-top, but hell, it's a fantasy series. You might be right. Finally -- I actually feel kind of bad about not adding your writer to my list. But dude -- the list is HUGE. If I starting adding to it, it would turn into an infinite loop. But I promise that if I find myself jonesing for some non-list fantasy, I'll come back here and try him out. K? K. And thanks for the nice long comment! @Chance: Here's something you probably haven't been told in a while: you are a brat. Oh, and I do sometimes wonder if i m probly the kind 2 h8 whateva is popular. I wouldn't like to think so, but I imagine I have some tendencies in that direction. 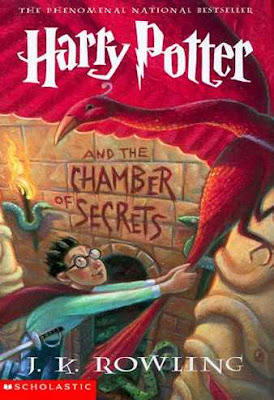 I'm not a Harry Potter fan (haven't read all yet), but i found the third book better than the second. The second was, i don't know, simpler. No pressure, you must not read it if you don't want. Now, dork comment: You may joke all you want about Don Quixote's trilogy but there are actually 3 books (at least, maybe there are more, i don't know). Apparently the first book was such a best-seller that a guy called Avellaneda wrote and published a fake 2nd part before Cervantes published his 2nd part. And people think the publishing world nowadays is a battlefield. Hey, get locked up in prison for a good chunk of time, I'll bet we can write The Great American Novel. chance's comment was the best thing i've seen in quite some time. well done, sir.